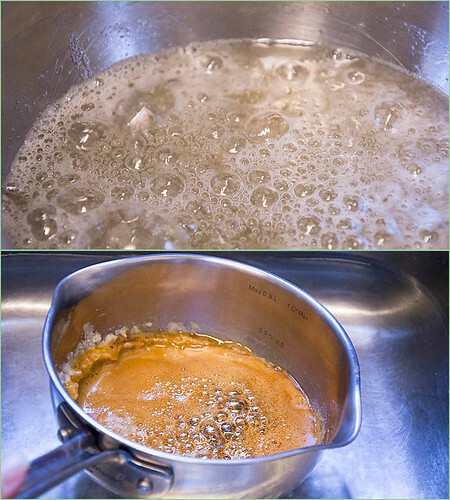 This is the caramel sauce I made to use in a Vietnamese chicken and ginger recipe. 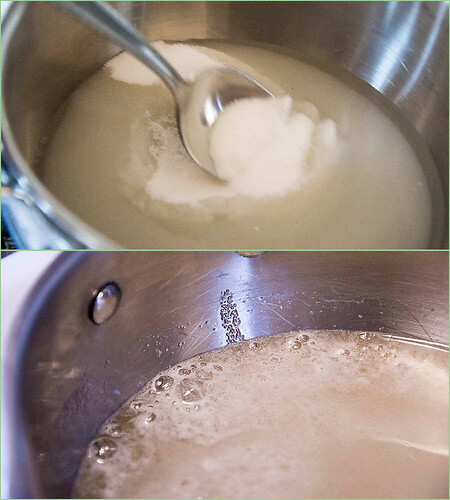 Using a metal spoon, stir the sugar into the water, just until the sugar is dissolved. Let the mixture cook undisturbed. Small bubbles will form at the edge of the pan. A few minutes into cooking, bubbles will cover the entire surface. Pay attention to the color of the caramel underneath the bubbles. the sink to stop the cooking. Add the remaining 1/4 cup of water. Don't worry, the sugar will seize up but will dissolve later. 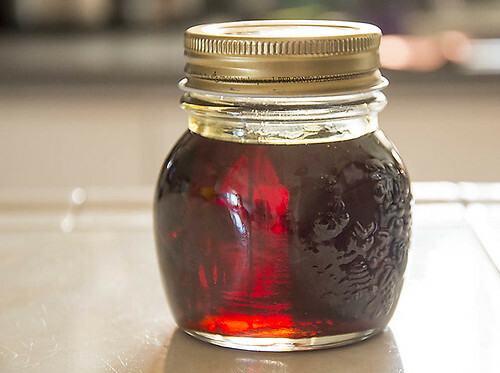 Cover and store the sauce indefinitely in your kitchen cupboard. Try not to drink it right from the jar, it's that good. medium-low heat. 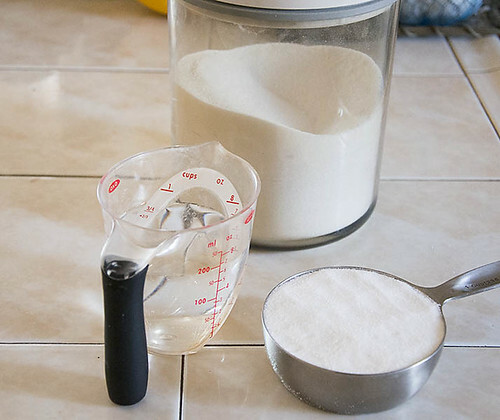 To ensure that the sugar melts evenly, stir with a metal spoon. and move toward the center. 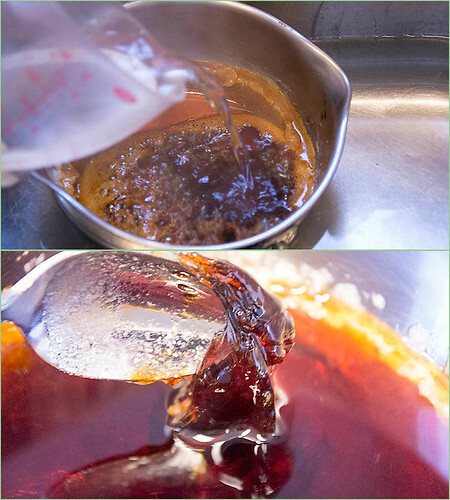 about 15 minutes, the sugar will begin to caramelize and deepen in color. You will see a progression from champagne yellow to light tea to dark tea. burnt orange. Pay attention to the color of the caramel underneath the bubbles. to the stove over medium heat. 3 Heat the caramel, stirring until it dissolves into the water. indefinitely in your kitchen cupboard.